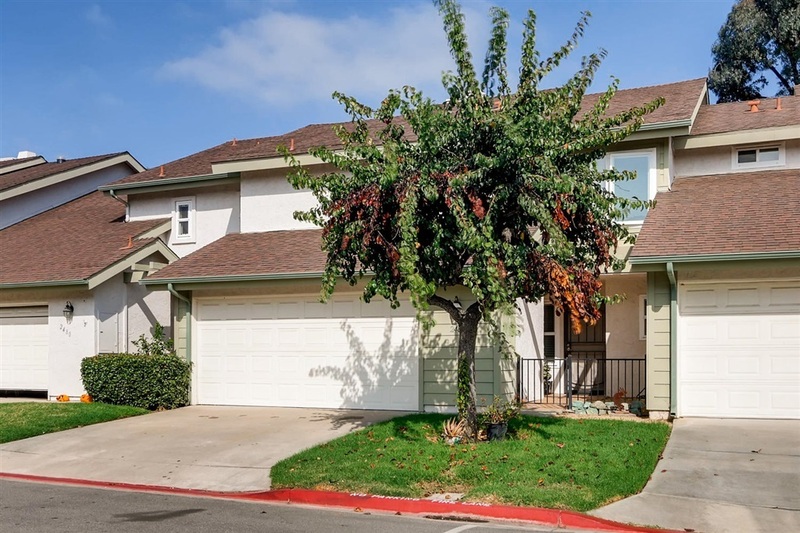 Highly sought after Park Point Loma town home sits up high with no one behind. Freshly painted interior, new carpet in LR and stairs, kitchen features Corian counters, updated baths, including jacuzzi tub, private rear patio, attached direct entry garage. Large mstr suite w/ vaulted ceilings & balcony. Large bedroom that could be split to make a 4th bdrm. Fireplace in living room, triple pane windows, forced heat/AC. Complex features 3 pools, spa, BBQ area, basketball court, clubhouse. FHA and VA welcome!